Intense ruby colour. 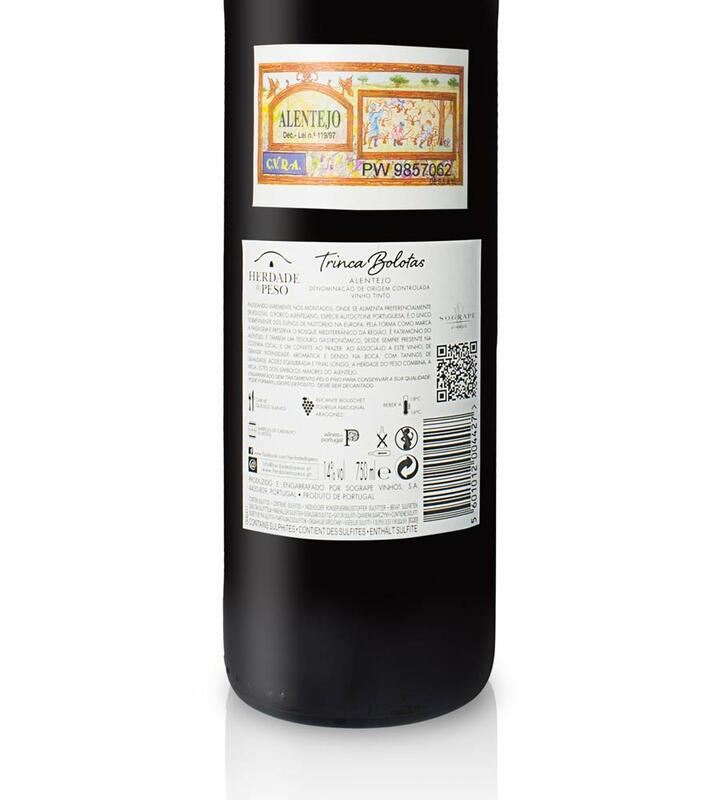 This wine has an aroma of vibrant red fruit with floral notes, courtesy of the Touriga Nacional grape variety. 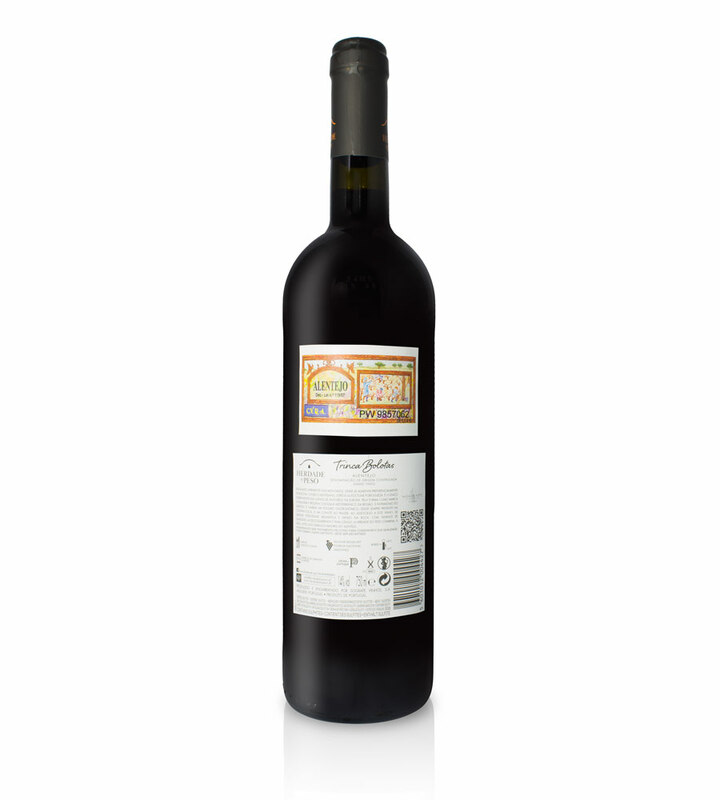 On the palate, it is incredibly balanced with very smooth tannins and a refreshing acidity. An extremely gastronomic wine with a long finish. THE WINE: Free to roam in the mountains, where it feeds on acorns, the “Trinca Bolotas” Alentejano pig – native to Portugal – is the only surviving grazing pig in Europe. The way in which it shapes the landscape and preserves the Mediterranean woodlands of the region is part of Alentejo’s heritage. It is also a gastronomic treasure, always present in the local cuisine, that invites enjoyment. Named after this reputable pig, this wine combines two of Alentejo’s biggest symbols. HARVEST YEAR: 2017 was unusually dry and hot, which accelerated the entire cycle on the vine. A warm April led to flowering almost two weeks ahead of time. June, which saw some of the highest temperatures ever recorded, led to veraison two weeks earlier than normal. The harvest took place, on average, two weeks ahead of schedule, but was of very good quality, thanks to night-time temperatures that remained below 20ºC, and guaranteed an excellent maturation. WINEMAKING: Vinified from selected batches of Alicante Bouschet, Touriga Nacional and Aragonez grapes. After studying their maturation, the grapes were collected at their optimum point of phenolic/aromatic maturation. After destemming and soft-crushing, pre-fermentative maceration took place for 3-4 days, in order to increase the wine’s aromatic and polyphenolic complexity. Fermentation followed at 26ºC, gentle pumping over preserving the fruit and extracting the smooth tannins that give importance balance to this wine. MATURATION: After malolactic fermentation, 70% of the wines aged for 6 months in stainless steel tanks, the remainder aging for the same period in used French oak barrels. The wine underwent light fining and filtration prior to bottling. STORE: This wine is ready for immediate consumption. However, if you wish to store it for some years, the bottle should be stored horizontally in a cool, dry place away from light.